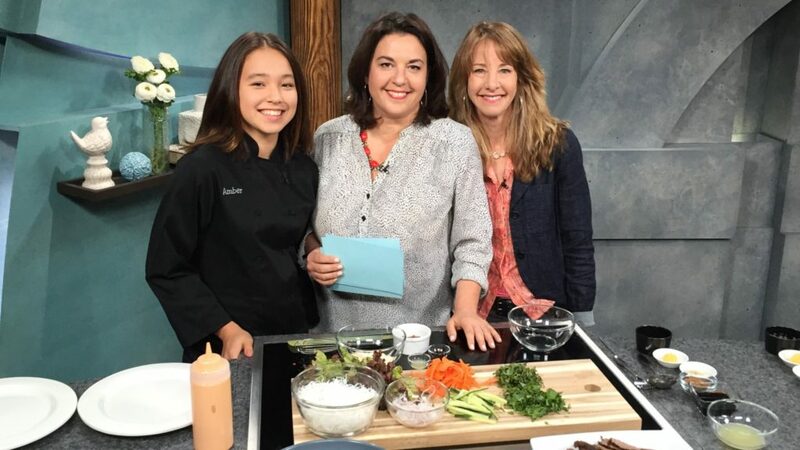 I had such a great time at New Day Northwest (KING5) with Suzie and Nancy! 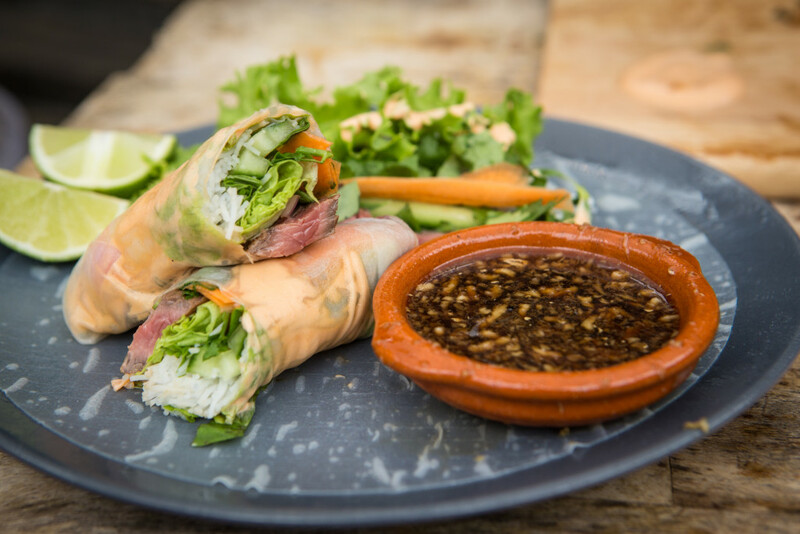 Juicy steak, fresh vegetables and herbs and a creamy spicy Sriracha Mayo, wrapped tight with silky rice noodles and served along a soy sauce, lime, garlic dipping sauce...Oh YES! This is a slam dunk. You must try these amazing spring rolls! The dipping sauce and marinade are almost identical, so making them both at once saves time. Get 2 bowls ready. In each bowl, add 1/4 cup of lime juice, 1/4 cup of soy sauce, 2 tablespoons of brown sugar, 1 teaspoon of crushed garlic, and about 3/4 teaspoon of grated fresh ginger. In the marinade bowl, add a 1/4 cup of grapeseed oil. Place the marinade and the steak in a ziplock bag, take as much air out as possible, and let it marinate in the refrigerator for 4-6 hours. In the other bowl, add a tablespoon of water. Refrigerate until ready to use. To make the Sriracha mayo, combine the mayo, Sriracha, lime juice and soy sauce in a bowl and mix well. If you have a squeeze bottle, put the Sriracha mayo in the squeeze bottle and refrigerate until your spring rolls are ready to assemble. Pull your steak out of the refrigerator an hour before grilling, to bring it up to room temperature. Spray grill or grill pan with cooking spray and preheat. Grill steak until medium-rare, about 5 minutes per side, depending on desired doneness. Let rest until room temperature then slice thinly against the grain. To assemble the spring rolls, fill a plate or sauté pan with water. Slide a sheet of rice paper in the water and leave for about 10-15 seconds. Remove the paper, place it on a plate or cutting board, and dab off excess water. Think of the spring roll as a burrito. In the bottom third of the paper, place some vermicelli, veggies and herbs. Squeeze some Sriracha Mayo on top of the filling, add a strip of steak. Bring the lower edge up over the filling, then fold in the two side flaps, and then roll the entire thing up.